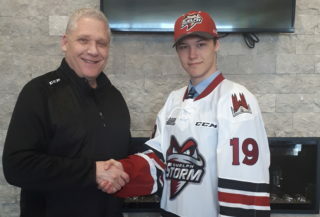 Cedric Ralph capped off his first OHL hat-trick with an overtime winner as the Guelph Storm escaped Saginaw with a 6-5 win. Up 5-0, the Storm saw their lead evaporate, but Ralph was there when it mattered most, finishing off a two-on-one with linemate Liam Hawel with 1:25 left in the extra frame. Both of Ralph’s other goals came in the first period as Barret Kirwin picked up a helper on the first and Hawel and Ryan Merkley pitched in on the second. 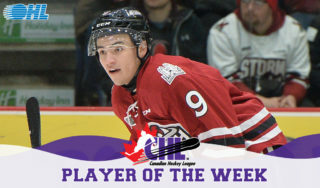 The 19-year-old from Peterborough, Ont. is looking to build off a 24-goal season last year and has four points over his first four games in 2018-19. 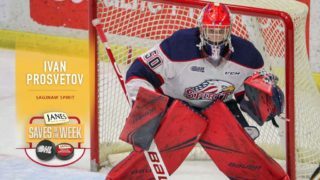 A top NHL Draft prospect, Arthur Kaliyev continued to show off his scoring ability in Peterborough on Saturday. 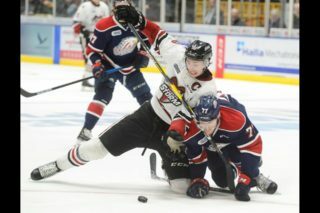 The sophomore winger recorded a career-high four points in a 7-1 Hamilton Bulldogs road win over the Petes. He put Hamilton up 3-0, converting on a penalty shot with 38 seconds to go in the opening period and added another goal on a power play one-timer late in the second. Kaliyev chipped in with assists on goals by Matthew Strome and Liam Stevens as the Bulldogs improved to 2-1 to start the season. The 17-year-old is tied for the league scoring lead with nine points (5-4–9) through his first three games. 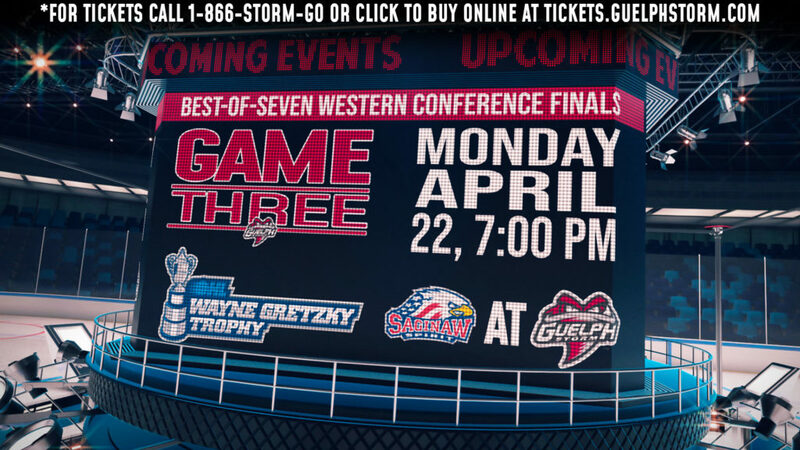 In just his second game back from the Montreal Canadiens, Nick Suzuki potted his seventh career hat-trick, doing so despite his Owen Sound Attack falling to the visiting Ottawa 67’s 4-3. Suzuki provided all three of his club’s goals, teaming up with Markus Phillips and Kevin Hancock in the first period, snapping a wrister past rookie Will Cranley in the second, and completing the trio with a move from in tight early in the third. 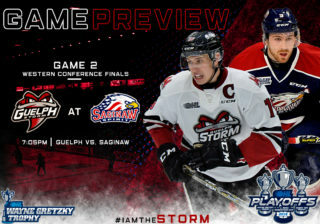 The hat-trick gives Suzuki 110 goals on his OHL career, tied with Joey Hishon for the second-most by any player in an Attack uniform.